Emerald: President of Malawi is dead. 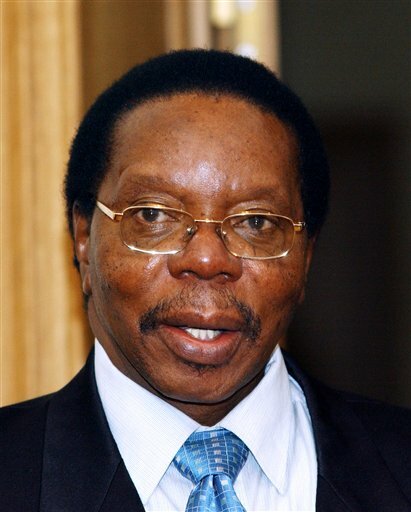 President of Malawi is dead. LILONGWE (Reuters) - Malawi President Bingu wa Mutharika has died early Friday [Apr. 6] after a heart attack, medical and government sources said. The 78-year-old was rushed to a Lilongwe hospital on Thursday after collapsing but was dead on arrival, the sources said. The constitution makes clear that Vice-President Joyce Banda is first in line to take over as head of state in the impoverished southern African nation, although Banda's expulsion from the ruling party in 2010 may complicate the transition. Mutharika, a former World Bank economist who had been accused of despotism and mishandling the economy in his final months, appeared to have been grooming his Foreign Minister brother Peter as his successor. Peter Mutharika had tended to deputize in his brother's absence. Police deployed in force across the capital on Thursday after Mutharika's admission to hospital, while 15 army officers took up position around Banda's residence, witnesses said. Before his death, Mutharika's condition drew little sympathy on the streets of Blantyre, the commercial capital, where many people viewed him as an autocrat responsible for chronic shortages of fuel, food and foreign exchange. "Perhaps the end of our suffering is also nigh", said Benson Msiska, a taxi driver stuck in a long queue for petrol in the southern city.